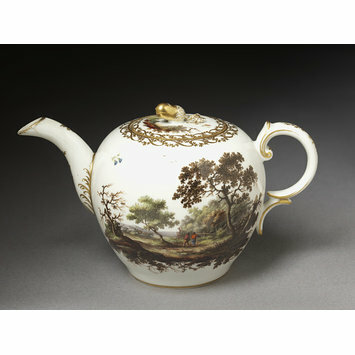 Teapot and cover of hard-paste porcelain painted with enamels and gilded. Painted with wooded landscapes with small figures and a lake. Scrolled gilt borders. 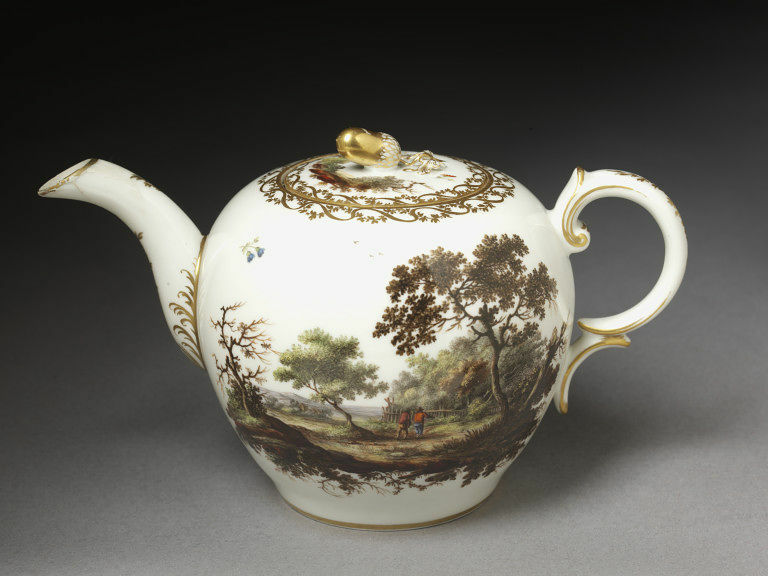 Teapot and cover of hard-paste porcelain painted with enamels and gilded, Oude Loosdrecht porcelain factory, Loosdrecht, 1771-1784.